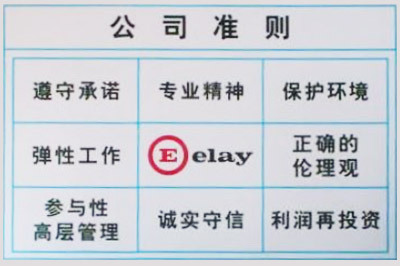 All of us who form a part of EAC follow and believe in the Code of Ethics that guides the entire Elay Group. No exceptions. No differences. Because, to our way of thinking, both the rights and the responsibilities of all Elay personnel should be the same no matter where in the world they may be located. Our complete Code of Ethics is available to anyone interested in reading the full text. (READ MORE).